Musings, insights, stories and nature observations from a Hasidic Jew living in the Great North Woods. Denial isn't a river in Egypt anymore, it's a 500-mile tropical storm about to hit New Orleans. For decades the Republicans have either denied that global warming exists, or played down the human causes, all in the interests of Big Oil and Big Coal. During the Bush administration their spin doctors changed the terminology from "global warming" to "climate change," thinking that would somehow sound less threatening. Ironically, it turned out to be more accurate, because it's not just about the planet warming up a few degrees, it's about major changes in storm patterns, ocean currents, heat waves, droughts and flooding -- all of which does not seem to make much of an impression on Republican climate deniers. Tropical cyclone Debby in June 2012 produced record-breaking rainfall across Florida, in some locations dropping over 20" of rain in 24 hours. [xv] When Tropical Storm Debby formed on June 23, it was the first time ever that four storms formed before July since record keeping began in 1851. [xvi]"
In spite of all this, and with a major storm raging outside their convention hall, I'm willing to bet there won't be one single mention of climate change at that convention -- unless it's to ridicule it. Instead, we will be treated to fire-and-brimstone speeches about how badly Obama is handling the economy, and how Romney-Ryan will work economic miracles if they get into office. No doubt there will be prayers and condolences for the communities hit by Isaac, but no real grappling with the root cause of these bigger and more frequent tropical storms. Like the proverbial elephant in the living room, climate change is THE BIGGEST THREAT to our economy, even if the Republicans refuse to talk about it. As noted above, these storms are very costly and their economic impact lasts for years. Enormous numbers of homes and businesses have been lost to increasingly hostile weather conditions across the continent. Large portions of the USA are experiencing the worst drought since the Dust Bowl days of the 1930s, while huge areas of the Southwest are going up in flames. No wonder the economic recovery has been so slow. You can't blame Obama for the weather, but you CAN blame the Republican Conservatives who, for decades, have purposely misled the public into not taking global warming seriously. Now we are facing the disastrous results. And still they want to gut the EPA, do away with pollution regulations, and continue relying on fossil fuels while cutting funds to develop newer, safer technologies. I've never been one to read acts of God into natural phenomena, but, since the Tea Party fundamentalists are so fond of doing so, maybe it is time for them to taste their own medicine. Is God slapping them in the face with a climate-change storm to open their eyes? Can it be only coincidence that this storm is named "Isaac" which, on the Kabbalistic Tree, is the aspect of God's judgement? Maybe there is a message in this storm, a wake-up call to the RNC folks that global warming is very, very real. Will they heed the message? Or will they, as in the days of Noah, remain in denial until it is too late? Vote Romney-Ryan and Kill the Planet! I don't usually do a lot of politics on this blog, but Mitt Romney is so dismissive of clean energy initiatives, and Paul Ryan's record on environmental issues is so shockingly abysmal, I feel I must speak up in defense of the natural world. Because if the Romney-Ryan campaign has its way, there won't be very much nature left for our descendants to see or enjoy. There was no "climate conspiracy" outside of Paul Ryan's head. Nobody was perverting the scientific method, they were using the scientific method to peer review and critique various articles that had already been published in respectable journals. Granted, some scientists were rude to each other in their emails (and who among us hasn't done that?) but Emily Post has nothing to do with the accuracy of the science. The problem is, Ryan himself doesn't understand climate science. In the same op-ed, he stated, "Unilateral economic restraint in the name of fighting global warming has been a tough sell in our [Wisconsin] communities, where much of the state is buried under snow." He and other climate deniers who use snowstorms as proof that the planet is not getting warmer do not understand a basic fact of physics, namely, that warm air holds more moisture than cold air. This is why the worst storms usually come in March-April, when the northern hemisphere is warming up. Warm air from the south hits cold fronts from the north and bam! We get buried. When the Jet Stream abnormally dips all the way south to Texas and the Gulf of Mexico, it will pull lots of moist air northward, resulting in even more snow. Yes, it is true that the winter of 2009-2010 had record snowfall in Wisconsin (and also here in Minnesota, Ryan's neighbor state) but it is ALSO true that the average temperatures have been getting steadily warmer for decades. When I first moved to Minnesota in 1973, I regularly saw temps of 40 below zero (F) on the winter weather map -- something I have NOT seen on any map around here for at least two decades. Instead, the winters have been so warm -- with or without snow -- that the lakes no longer freeze hard enough for safe ice fishing in many parts of Minnesota and Wisconsin. This, in turn, is hurting tourist industries that rely on snow and ice for winter sports. I am wondering if Ryan is still sticking by this snow argument now that climate patterns have shifted again. Wisconsin is in the midst of a severe drought that is devastating crops across the Midwest. Neither Minnesota nor Wisconsin had much snow at all this winter (2011-2012). Instead, it all went south and buried places like Tennessee that normally don't have much snow. And how does Ryan explain all the record 100-degree temperatures we had across the continent this summer, and the thousands of broken heat records every day? On that same day, Obama was campaigning in Iowa, which gets 19% of its electricity from wind power, ranking second in the nation for that industry. Wind farms, Obama pointed out, have already generated 7000 new jobs in Iowa. "We have 250 years of coal," Romney says, "Why in the world wouldn't we use it?" Even if better technologies are developed? After all, the Stone Age didn't end because we ran out of rocks. And there were probably flint-chippers who objected to using metal-tipped spears because it would put them out of work. "We have tons of rocks, why in the world wouldn't we use them?" But the smarter cavemen embraced the new technology and the rest is, well, history. 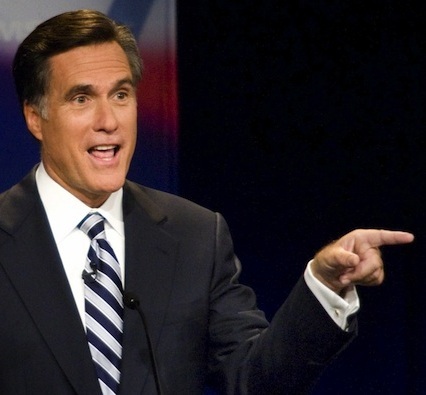 I could go on and on, but I'll end with this thought: Is Mitt Romney really a man you would want in the White House? And do you really want Paul Ryan to be one heartbeat away from the Presidency? 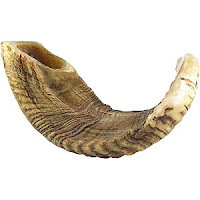 Today is the first of Elul on the Jewish calendar. It is both the start of the period of introspection leading up to the High Holy Days, and the "New Year for Animals" (see my previous post.) 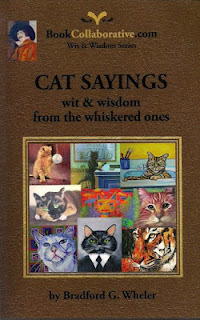 So I thought this would be a good time to review a new animal art book, CAT SAYINGS: wit & wisdom from the whiskered ones by Bradford G. Wheler. I savored this book on Shabbat afternoon the way I feel it should always be read, relaxing on the couch with three of my furry-purry feline friends curled up with me. The book features full-color works by 60 different artists from 9 different countries. Some are full time professional artists, others are hobbyists, but all share a love of animals and, in a myriad different styles and media, have captured the beauty, mystery, love and whimsy of the cat. 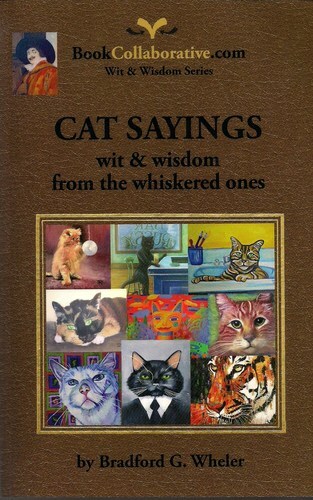 Add to this the wonderful collection of quotes about cats, and you have a book to treasure and savor for years to come. That last quote was a new one to me, and especially precious, because I have been involved in animal welfare for many years, and am currently planning, with my friend and co-writer Richard H. Schwartz, to develop a curriculum resource book for the New Year for Animals. 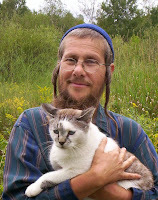 As I have written on this blog before, many Jews, especially among the Orthodox, are cut off from nature and animals. As a community, we suffer from a severe case of "nature deficit disorder," often oblivious to the beauty of God's creation. And this in spite of the many beautiful Jewish teachings about the humane treatment of animals in the Torah and writings of our Sages -- which, sadly, often go unstudied. So I agree with Lincoln: If religion does not teach us to treat our animals better, of what use is it? And I was not surprised to read that Napoleon, Hitler, and Alexander of Macedonia all hated cats. You just can't order a cat around, they are independent thinkers who can't be dictated to. As Mark Twain is quoted on page 8: "Of all God's creatures there is only one that cannot be made the slave of the lash. That one is the cat. If man could be crossed with the cat, it would improve man, but it would deteriorate the cat." I'm not sure if cats are the only independent animal species, but they certainly don't kowtow to humans. Quite a few of the artists included in this book are also animal activists, many of whom donate part of their proceeds to animal shelters and various wildlife causes. The author has included biographies of all the artists in the back of the book, along with contact info and web addresses where you can view more of their work and, of course, buy it. I also got a chuckle out of this quote from Ernest Hemmingway: "One cat just leads to another," because we currently have 12 cats and no, I'm not hoarding them. Several of them are rescues who wandered into our farm when so many homes were foreclosed around here a while back. I suspect their owners abandoned them and, as my wife would say, I'm a cat magnet. Some people are horse whisperers, I'm a cat whisperer. So we end up with a lot of stray cats who wheedle their way into my heart. I'll close with this quote from Garrison Keillor, also cited in CAT SAYINGS: "Cats are intended to teach us that not everything in nature has a function." Some things just are. The first of Tishri, for the counting of calendar years, Jubilee years, etc. Only the first of Tishri is a "New Year's Day" in the sense that we now think of it. The others are more like fiscal years, similar, for example, to how income taxes are due on the 15th of April (in the USA) and not the first of the secular year. The first of Elul "for tithing cattle" was the cut-off point for determining in which year an animal should be included in the count. Animals born before that date were tithed in the old year; animals born after that date were tithed in the new year. Nowadays very few Jews are raising flocks of animals and, since there has not been a Jerusalem Temple since the year 70 C.E. (when the Romans destroyed it), nobody is tithing animals for Temple sacrifices anymore. Nevertheless, this date remains on the Jewish calendar, although, admittedly, it is not very well known today. 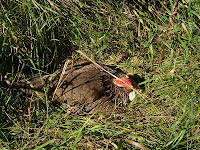 A mother hen on her nest in my yard. 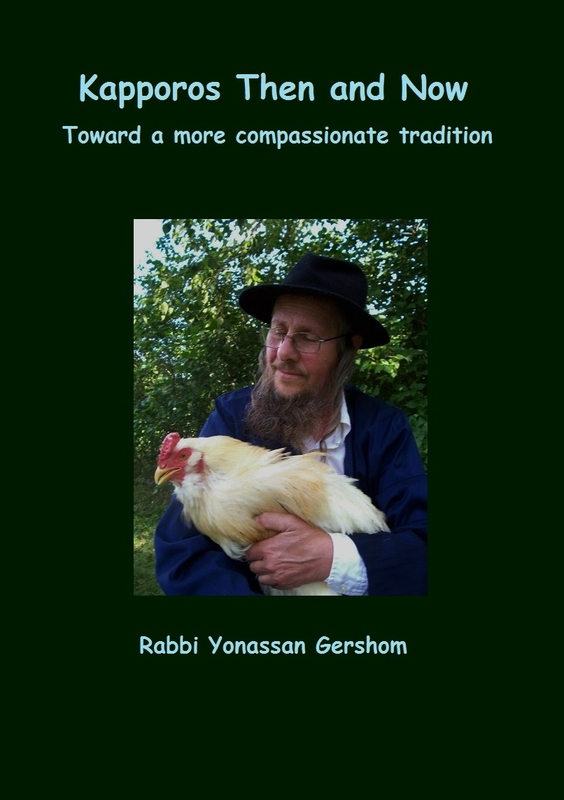 Recently, there have been suggestions among Jewish animal welfare activists to make the first of Elul, the "Rosh Hashanah for Animals," into a day for focusing on the many teachings in Judaism about the proper treatment of animals. This would not be the first time that a Jewish holiday got re-defined after the Temple was destroyed. Shavuot, the "Feast of Weeks," was originally celebrated with processions of people bringing their first-fruits to the Temple. Today it focuses on receiving the Torah at Mt. Sinai, which also took place on the same date. Tu B'Shevat, the "New Year for Trees" (#3 in the list above) is now a form of Jewish Earth Day, when people not only plant trees, but also focus on current environmental issues. In the same way, the New Year for Animals would shift the focus from tithing sacrifices toward learning about how animals are treated on factory farms, comparing that with Jewish teachings about the proper treatment of animals, and making choices about where we get our milk, eggs, and meat -- or maybe even considering vegetarianism as a better alternative. Given that most Jews today are urban people who rarely, if ever, have contact with farmers or farm animals, I think that developing a modern version of this day would be a great educational opportunity. as Curiosity lands safely on Mars. "Classical Jewish prayers refer to God as 'chay ha-olamin' -- Giver of Life to the worlds -- plural. So there is no theological conflict with the idea of life on other planets. There is also no conflict with the concept of being made 'in the image of God' if alien beings look different from us humans, because, in Jewish theology, God's 'image' is not a physical one. If God has no physical body, then how can our bodies be in God's image? Of course, NASA isn't really expecting to find Martians in the science fiction sense. The scientists will be delighted if the rover finds some complex carbon compounds. 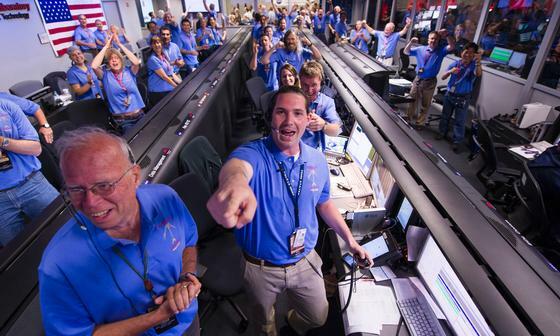 But whatever they do or do not find, landing Curiosity successfully on the Red Planet is a magnificent accomplishment -- Congrats! Do clothes make the Hasid? Learn to understand this issue from both sides. Order your copy today! All blog posts are © copyrighted to Yonassan Gershom, except guest columns, which belong to their authors. Comments belong to their authors. Please feel free to link to my articles and quote short passages, but DO NOT mirror them on other sites. Thank you. 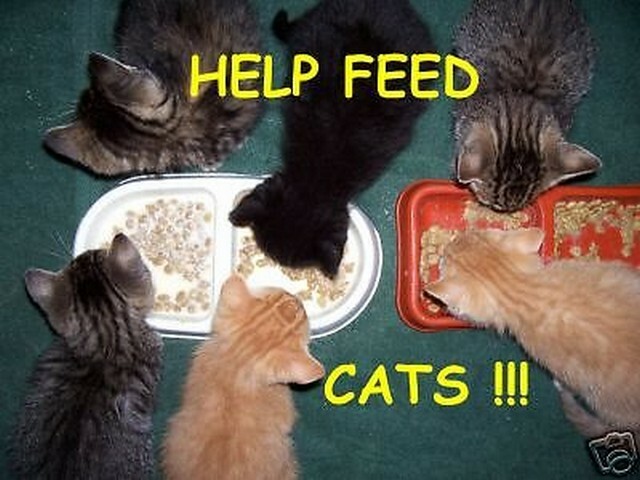 Help feed my cat colony! I follow the teachings of Rebbe Nachman of Breslov, but am not affiliated with any particular group, having learned the Breslov way from his books and by meditation in the forest as he taught. I live in northern Minnesota with my wife Caryl, 1 dog, 1 goose, 8 cats, a flock of chickens and a bunch of wildlife. No, there is no synagogue here. We hate the city and few Jews live in the country anymore. But no problem, God is everywhere! No Rabbi Heschel in "Selma" movie? Inexcusable! 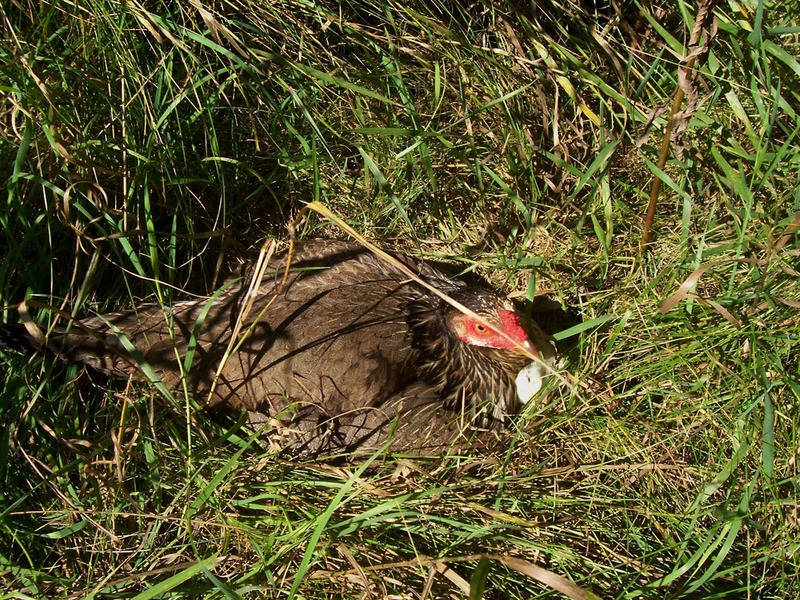 On Kapporos: The Baal Shem Tov did it with a chicken, so why do you tell me not to? Awesome Inc. theme. Theme images by Xaviarnau. Powered by Blogger.